I had been looking for alternatives to the typical gym experience and started experimenting with cross-training programs (such as P90X, boot camps etc). I found myself “falling off the bench” and not keeping up with my routine nor my training schedule. 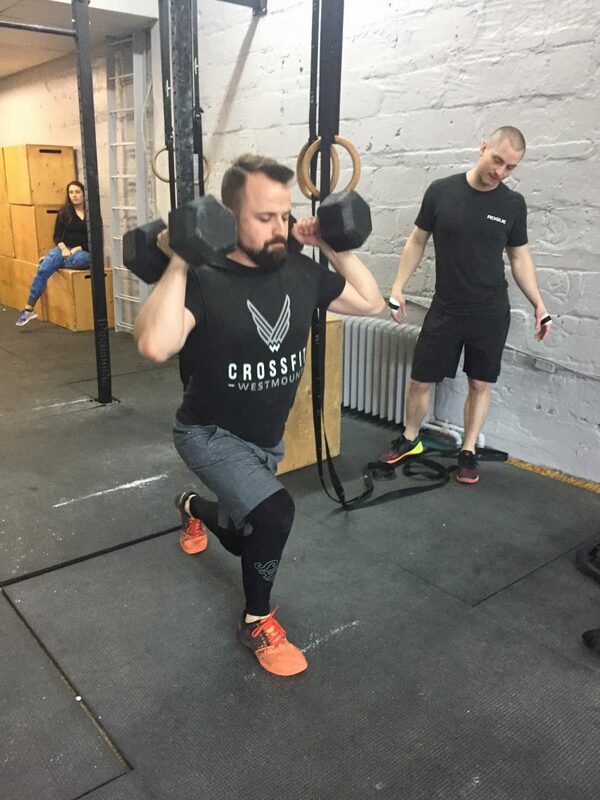 My wife attended a CrossFit in the Park session and before I knew it we were signed up to a box and learning how to clean-and-jerk, the rest is history. At very first, slightly intimidated. You show up to this vast space, with all sorts of equipment, music pumping, people lifting huge weights and doing extraordinary things with their bodies. All this changes as soon as you put your shoes on and do your first WOD. Those same people that at first seemed intimidating are now cheering you on and helping you achieve your goals. One of my first highlights was achieving a bodyweight clean & jerk. Never had I attempted to lift something so heavy over my head, nor did I think I could. Every PR after that is just as good as the first. I am rather busy so I tend to follow the programming as much as possible. Right now the head coach (and owner), Tom, has us “building our engine”. Focusing on improving our speed endurance, pushing out our aerobic threshold and improving our VO2 max. One of my my favourite CFW memories isn’t really even CrossFit related. I had injured my neck during a trip abroad and could not participate in our Christmas Workout Party. Despite not being able to workout beside my peers I showed up in my ugliest Christmas sweater (and socks) possible and cheered on everyone else as they grinder through the workout. At the end of the workout Tom gave me gave me a gift in front of the rest of the box for having the ugliest sweater thanking me for cheering everyone on – its all about community!